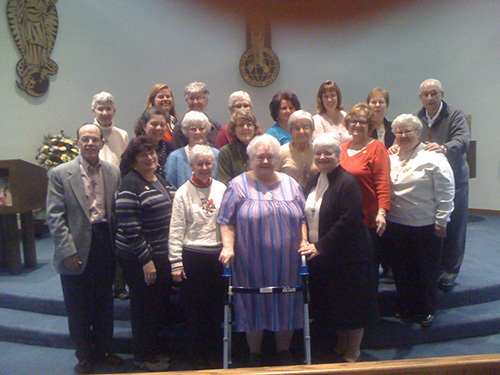 The CPS Associates are men and women whose mission is to share in the charism and mission of the Missionary Sisters of the Precious Blood – to give witness to the life-giving Blood of Christ flowing through us, and in total surrender to the Spirit, make ourselves available to the ever-changing needs of our neighbor. Our mission is to be God’s life-giving presence among all people. Our main purpose is to deepen one’s spiritual life through communal prayer, faith development, growth experiences and shared CPS ministry. Any Catholic with a desire to live the Charism and Mission of the Missionary Sisters of the Precious Blood is eligible for membership. are baptized Catholics who profess and practice the Catholic Faith, feel a desire to deepen their faith and participate in CPS Spirituality. must be18 years of age (single, married, widowed, priest or deacon). are growing in the spirit of prayer and desire to build the community of faith by developing their gifts and reaching out to others. wish to grow in their spirituality through their association with the CPS Congregation and its mission. strive to promote life-giving relationships and are actively involved in their home parishes. Candidates who complete a one year formation program are accepted as associates at a Bonding Ceremony. They receive an insignia of the “Victorious Standing Lamb” and /or “Mary Standing under the Cross” that represents their association with the Missionary Sisters of the Precious Blood. Regular meetings are held the third Sunday of the month from September to June. Associates are invited to share Morning Prayer, Mass and brunch with the sisters. Meetings begin with prayer followed by a brief business meeting and continue with a presentation, time for reflection, and time for sharing. There are approximately 40 associates. Those who are unable to attend regular meetings are Associates in Spirit and continue to share in the prayer life of the associates. Several associates are members of the first group who began their formation process over 20 years ago. The CPS associate movement is international. CPS Companions is the official name for our associates in Canada. Candidates who have attended the associate meetings for at least one year and have completed a separate CPS Charism formation program are accepted as CPS Companions by making the CPS Companion Promise on Mission Sunday in October. They receive an insignia of the “Victorious Standing Lamb” and /or “Mary Standing under the Cross” that represents their association with the Missionary Sisters of the Precious Blood. 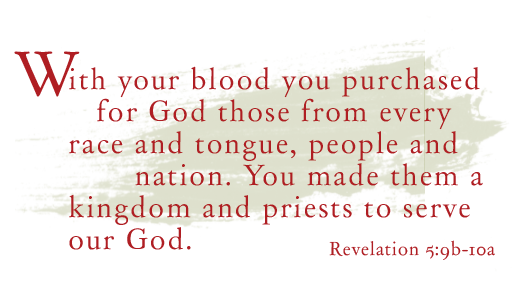 Yearly, this promise is renewed yearly by all CPS Companions. Regular meetings are held the third Sunday of the month from September to June. Associates are invited to share Mass (11:00h.) followed by lunch with the sisters. Meetings begin at 13:15h with prayer followed by a brief business meeting and continue with a presentation, time for reflection, and time for sharing. There are approximately 20 associates. Those who are unable to attend regular meetings are Associates in Spirit and continue to share in the prayer life of the associates. Several associates are members of the first group who began their formation process over 20 years ago.